Get more for your money at the Quality Suites hotel in Orlando, FL near the Epcot Center. This smoke-free hotel is near attractions like Universal Orlando, SeaWorld Adventure Park, Orlando Orange County Convention Center and Old Town Kissimmee. Disney's Animal Kingdom theme park is also close. 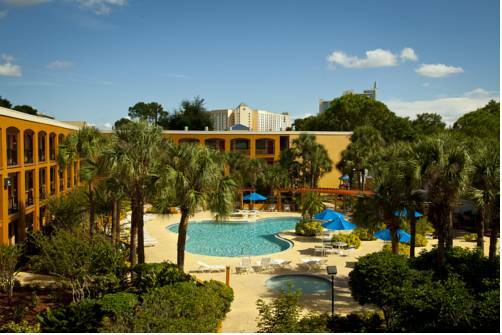 Take advantage of amenities like free breakfast, free WiFi, guest laundry services, business center and outdoor pool. Guest suites include a refrigerator, microwave, iron and ironing board. Also, earn rewards including free nights and gift cards with our Choice Privileges Rewards program. Package handling is available for a fee. This is a smoke-free property. $100.00 deposit required for cash paying guests.